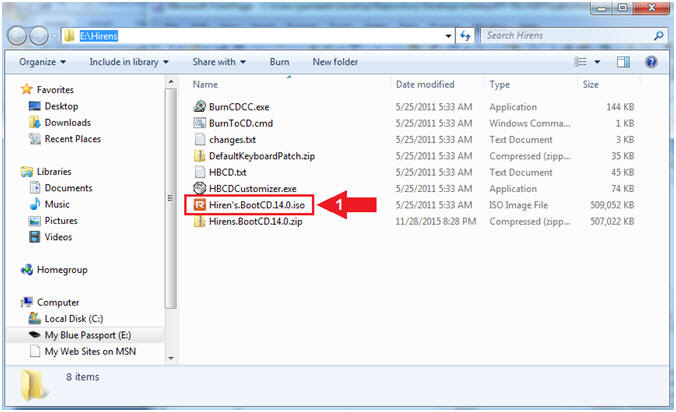 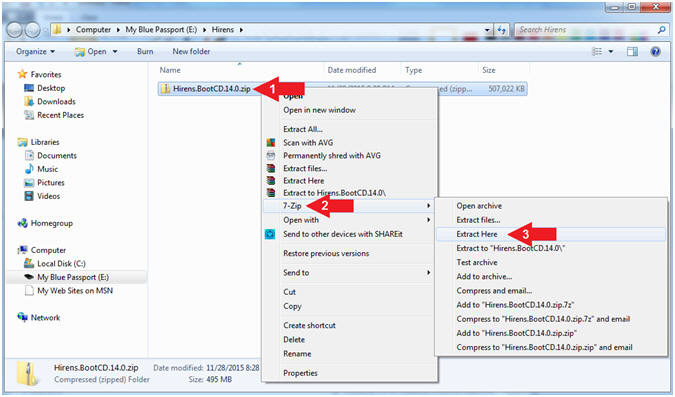 What is Hiren's Boot CD? 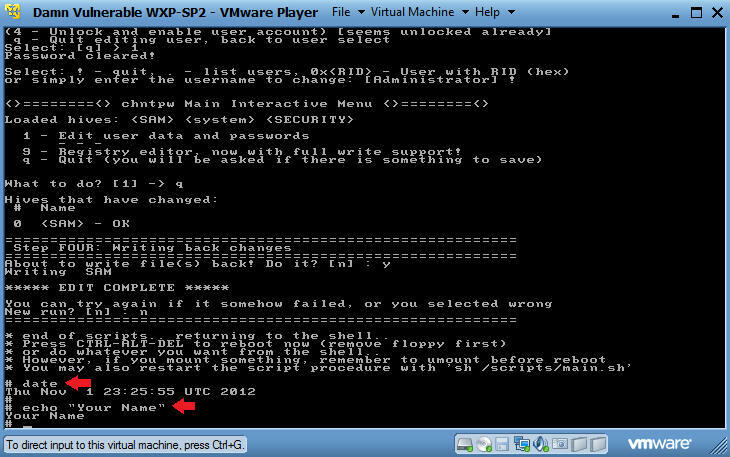 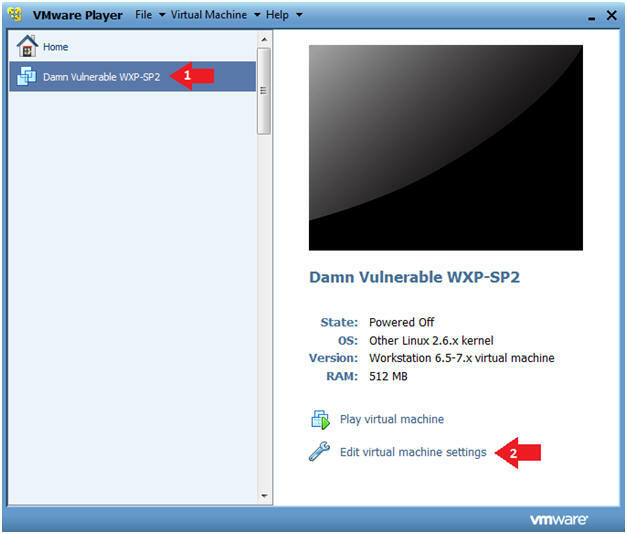 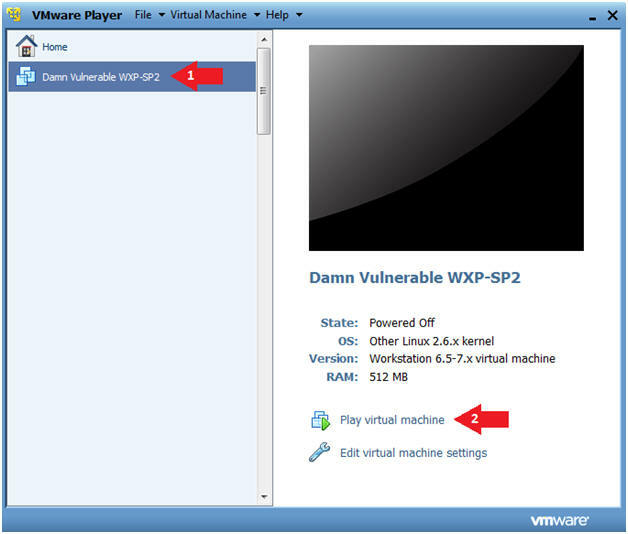 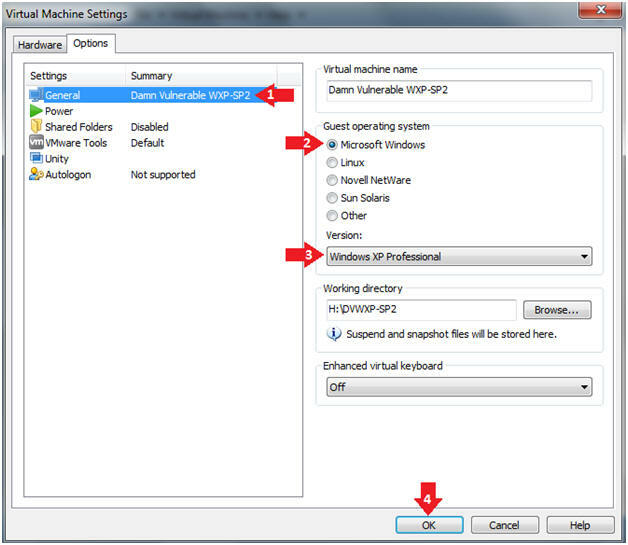 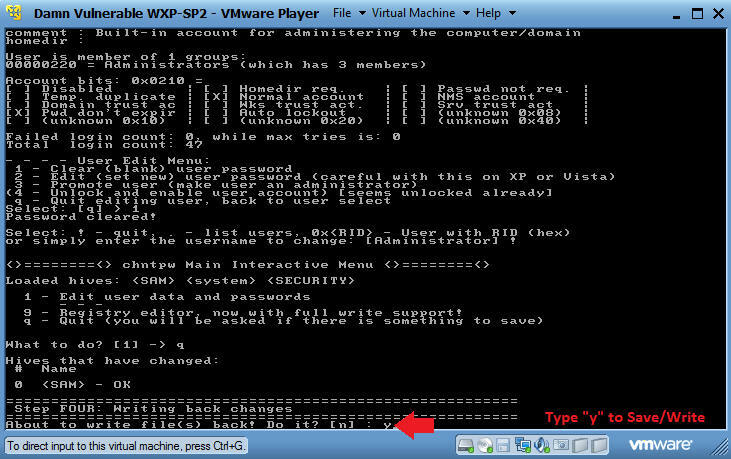 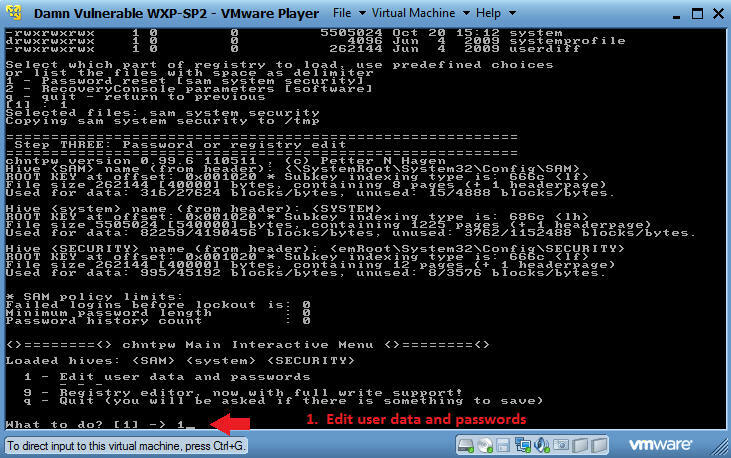 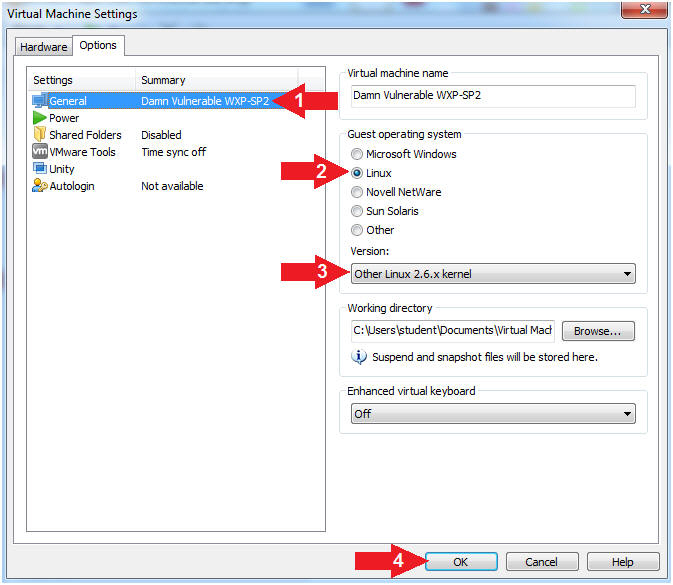 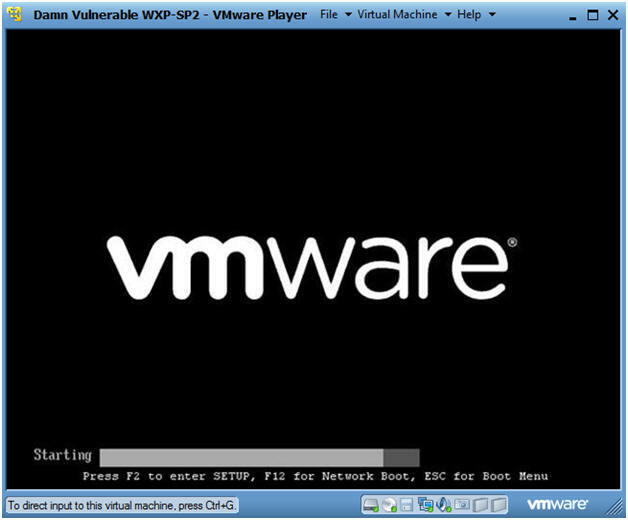 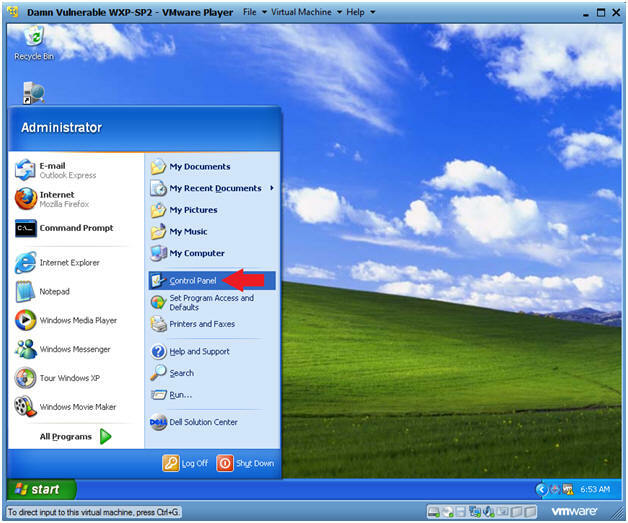 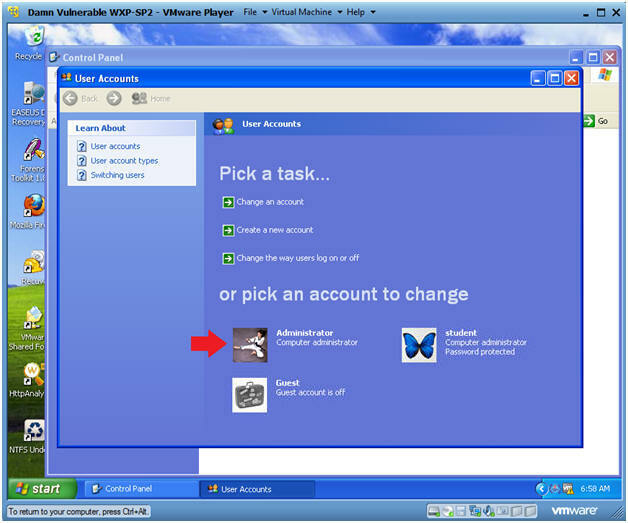 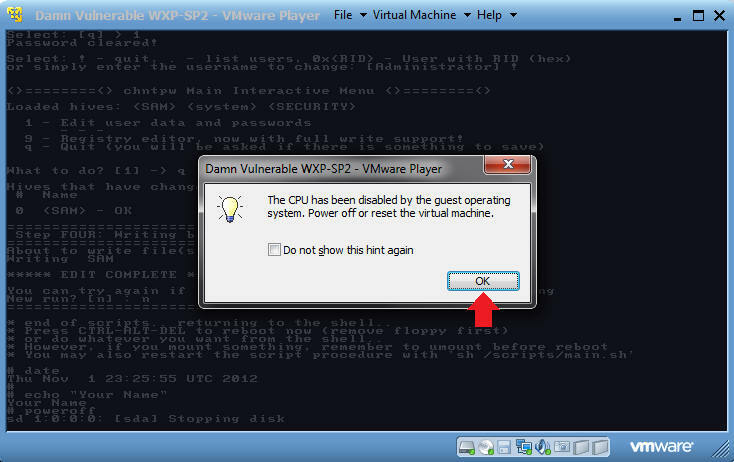 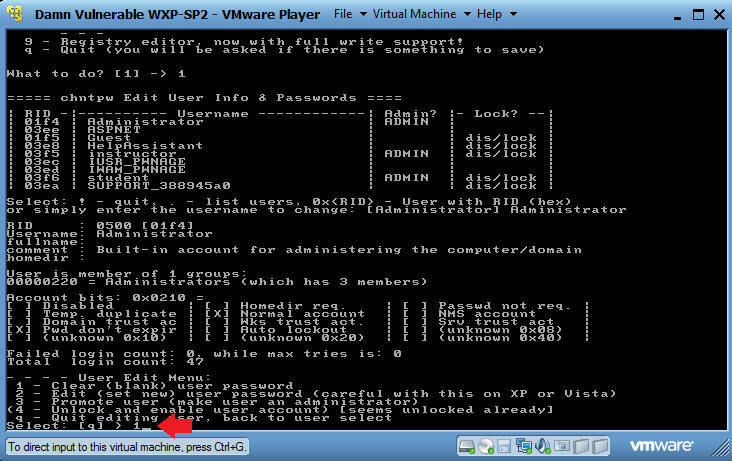 This lab uses the Damn Vulnerable WXP-SP2 Virtual Machine. 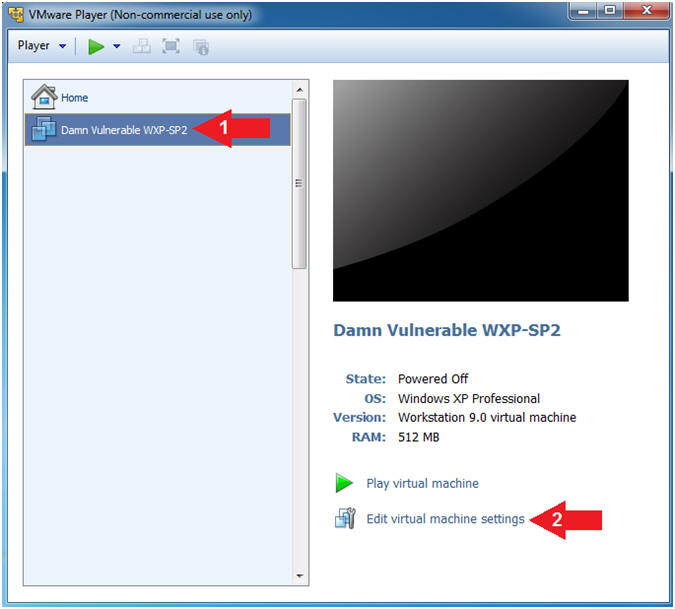 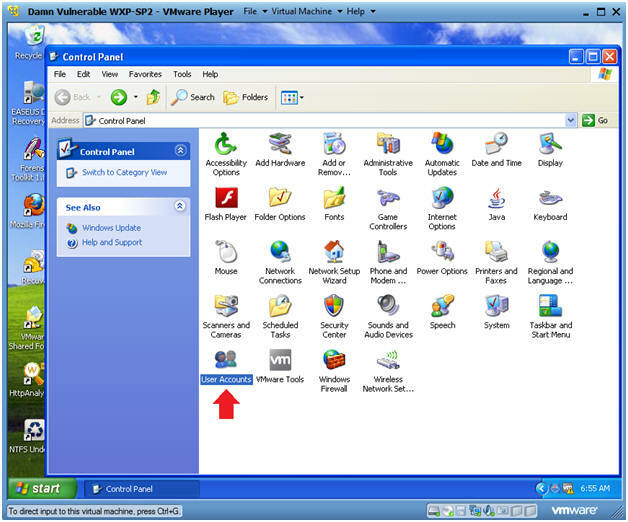 Login to the machine that has VM Player Installed. 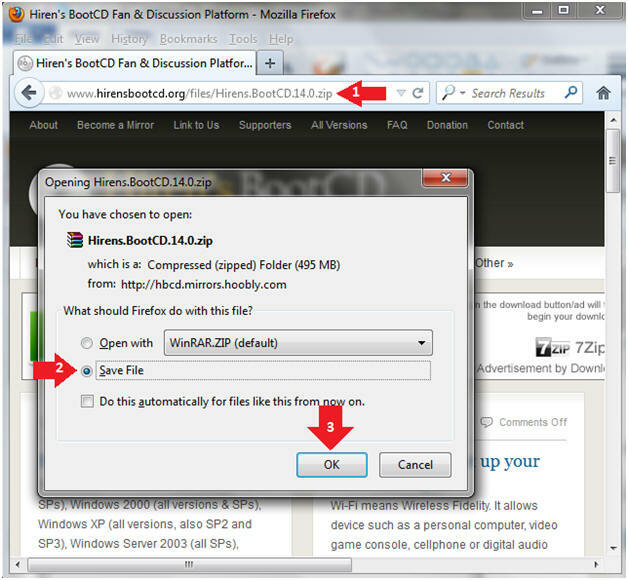 Navigate to the directory of your choosing. 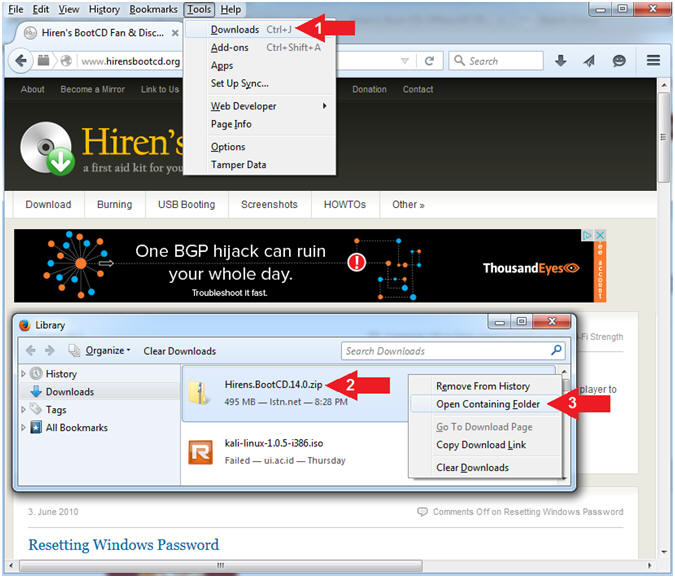 Among other files you should see the Hiren's ISO File. 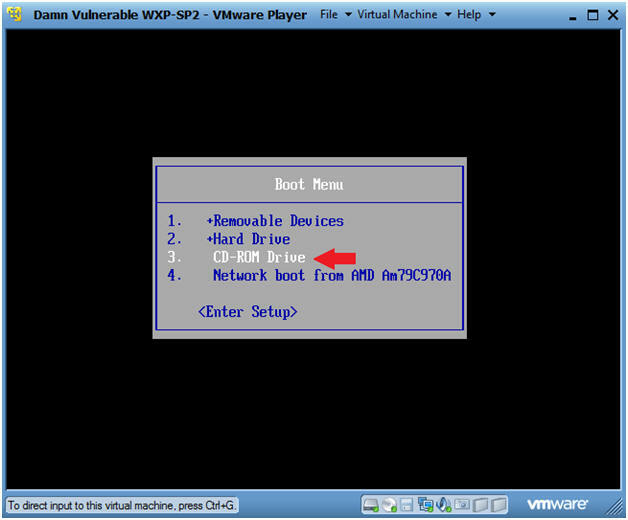 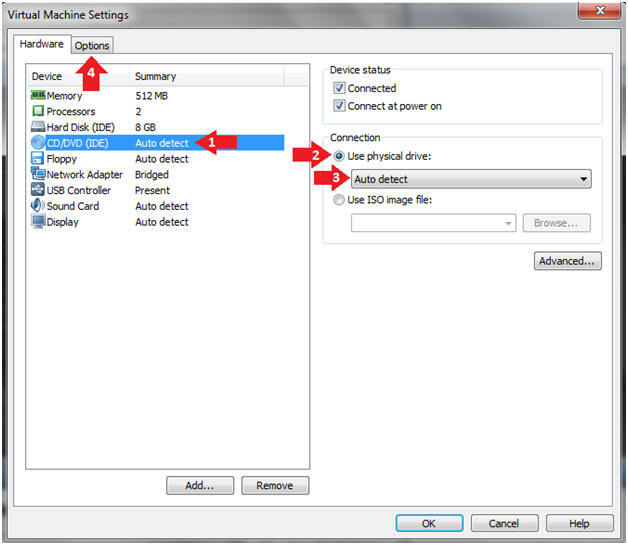 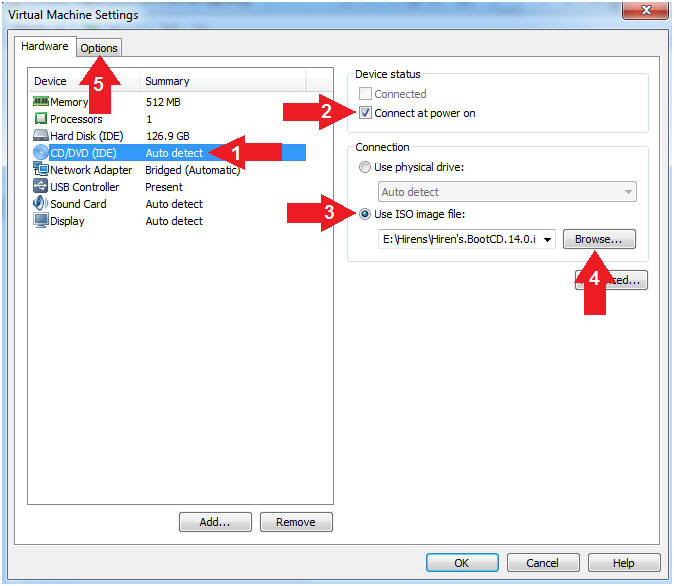 Click the radio button "Use ISO image file:"
Once you see the below vmware screen, (1) Left Click in the screen and (2) press the <Esc> key. 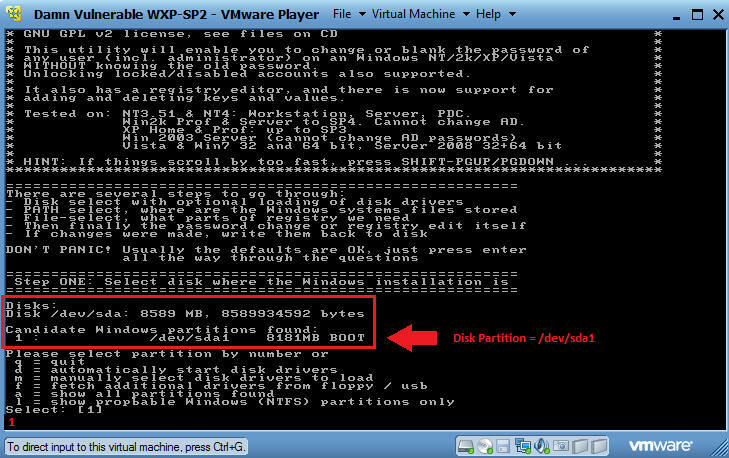 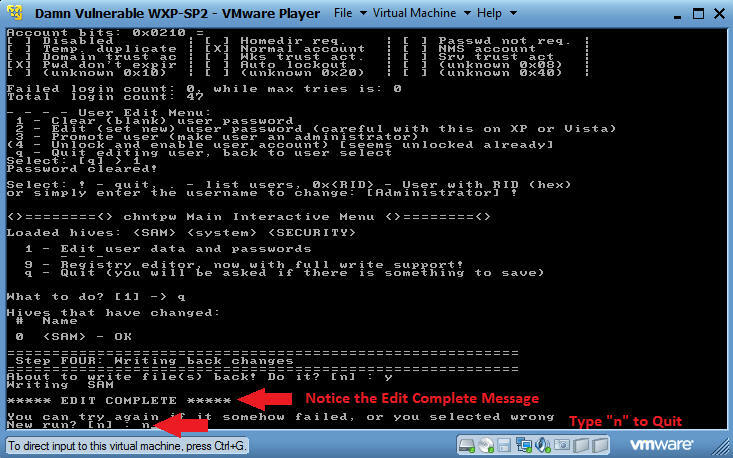 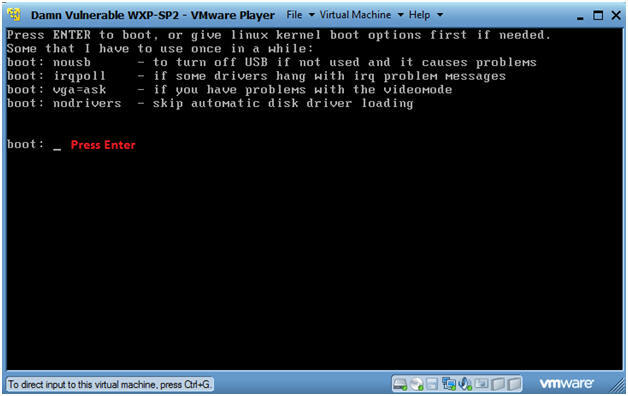 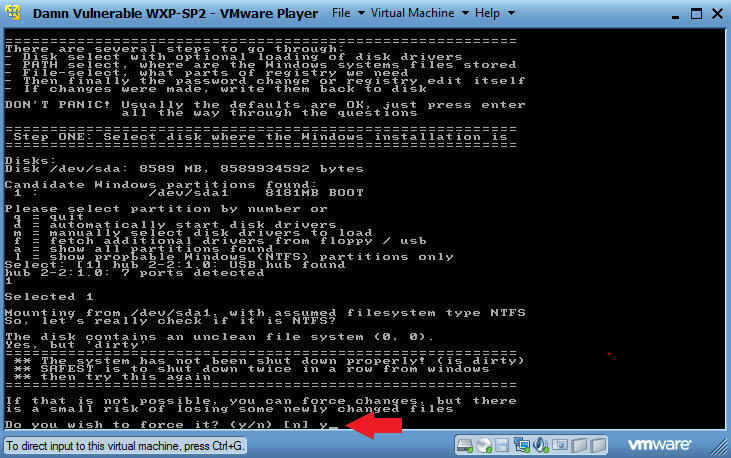 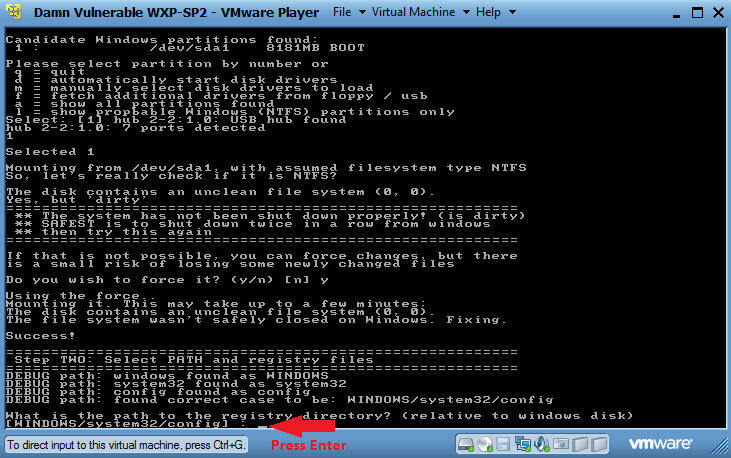 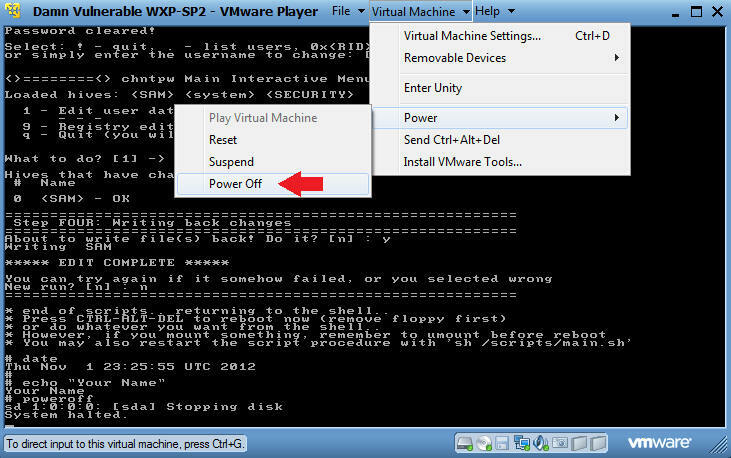 If you are super frustrated, you can slow down the VMWare Boot Screen by completing the following lesson. 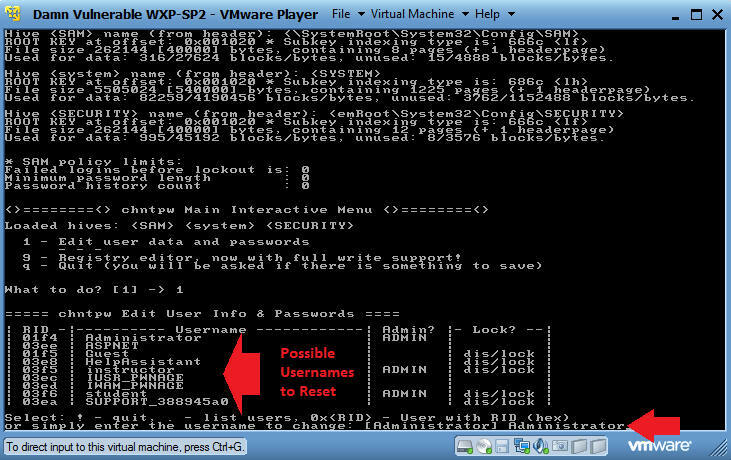 What is the path of the registry directory? 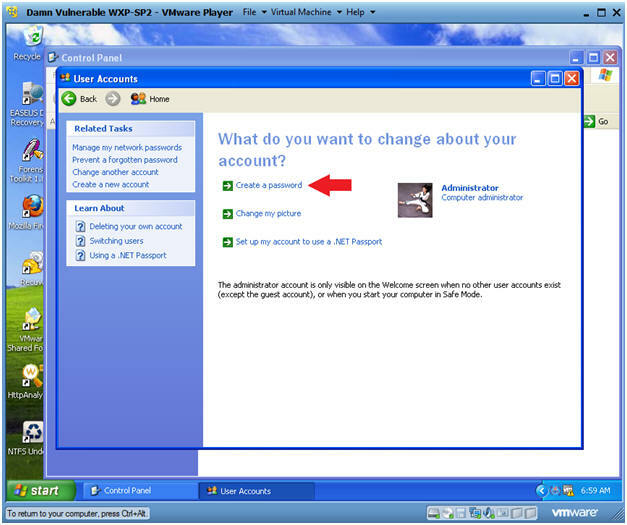 Type in the username that you would like to reset. 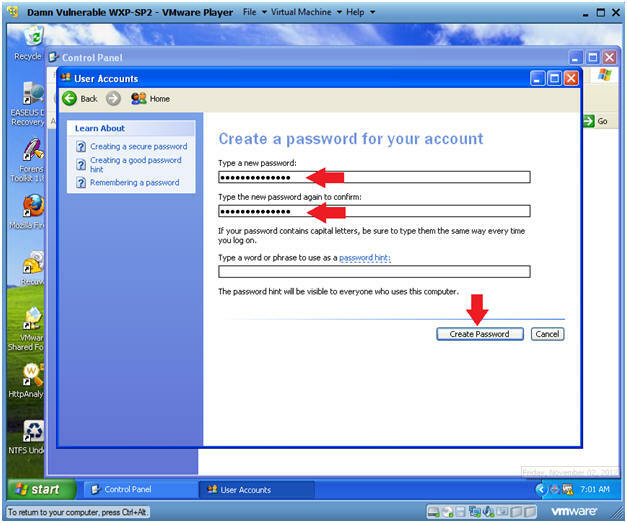 To clear the password, select 1. 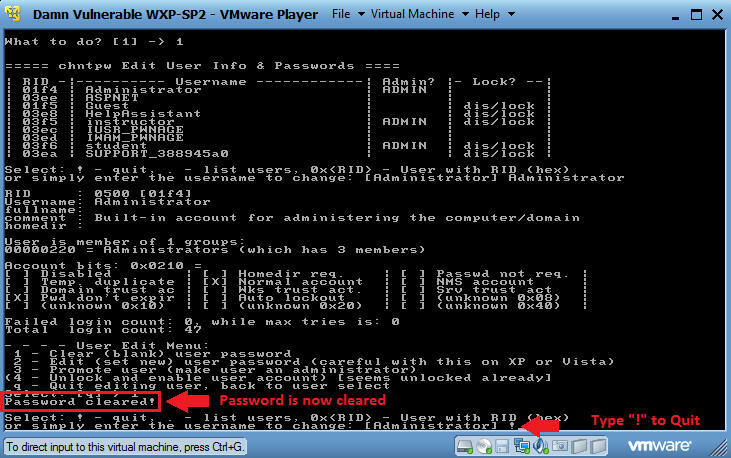 There will be a message that says "Password cleared!" 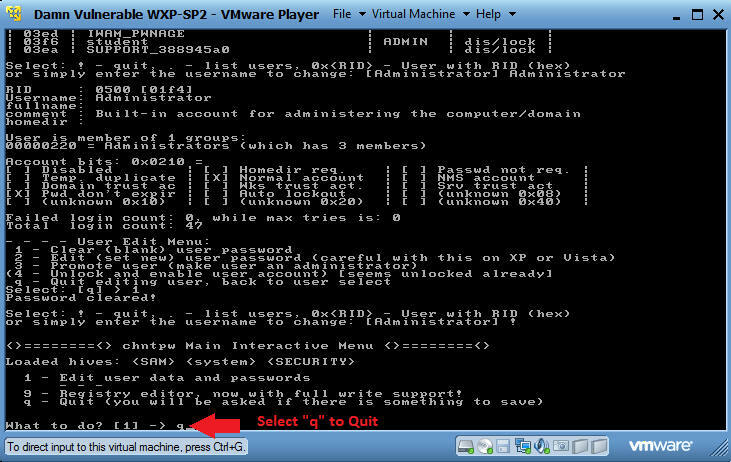 To quit the application, type "!" 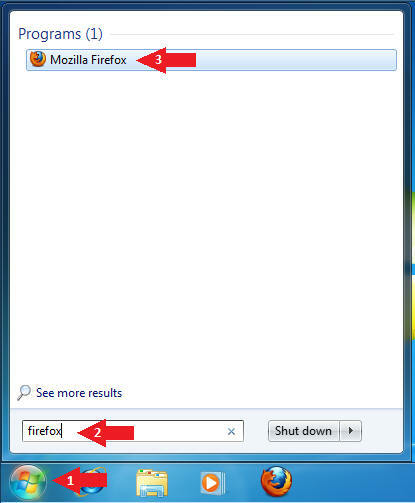 Type "y" to save changes. 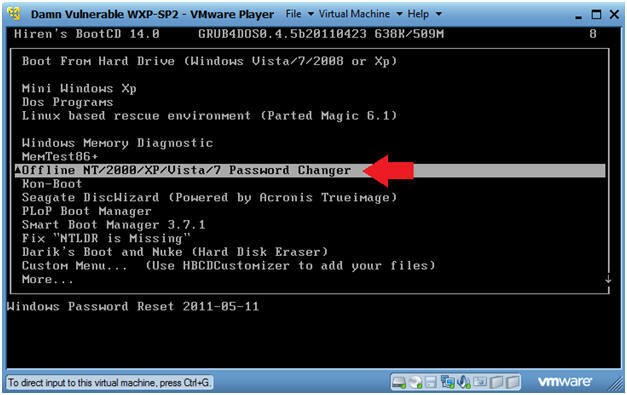 Remember you cleared the password, so leave the password field blank.